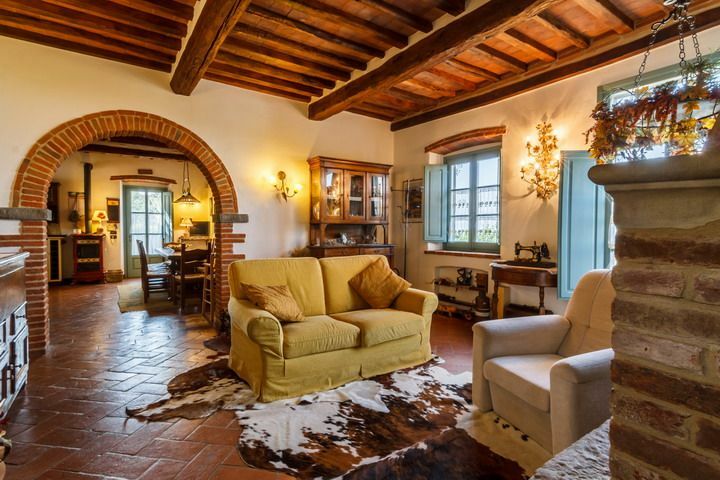 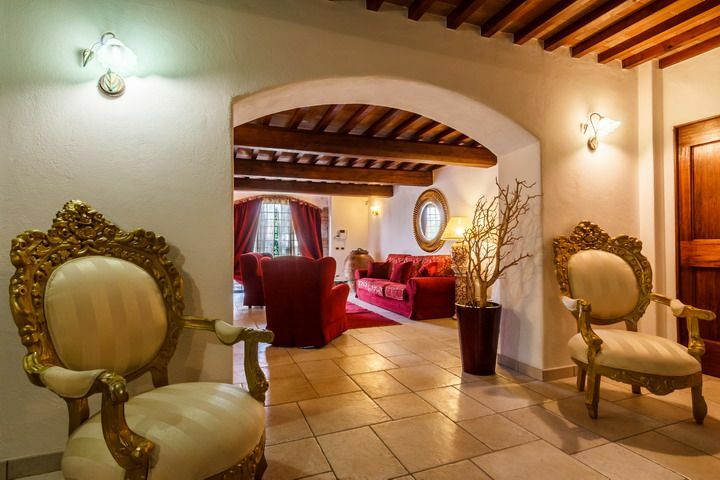 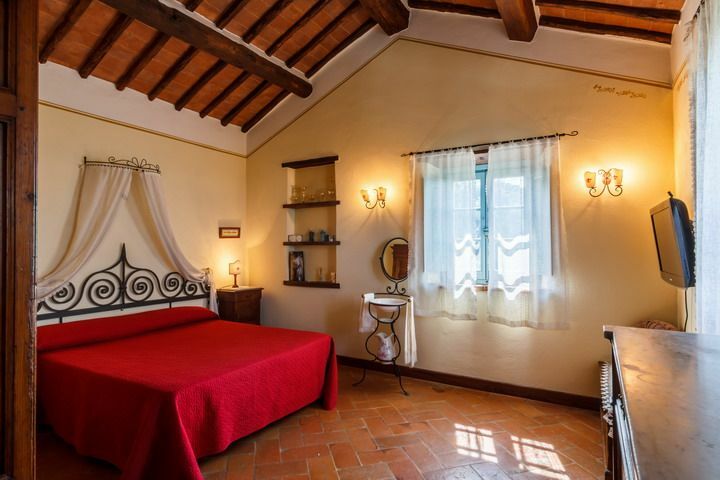 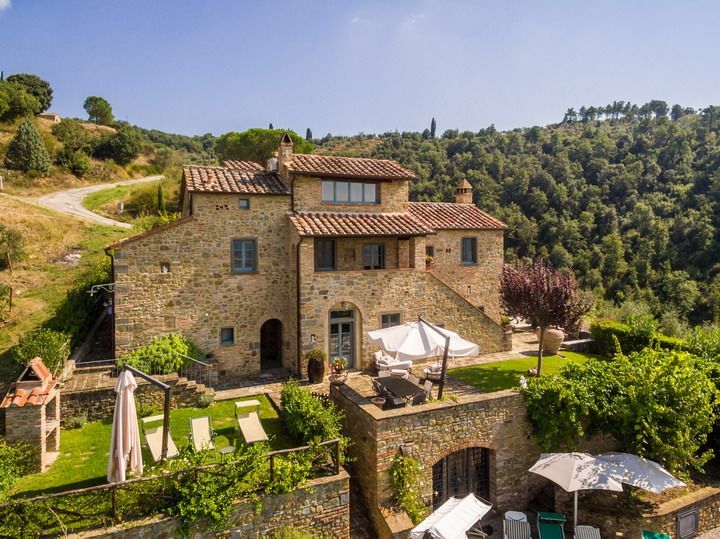 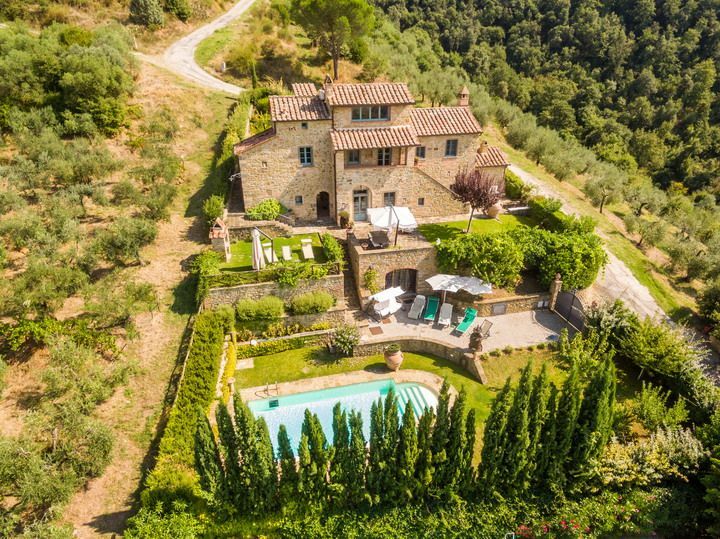 A pretty villa with wonderful views over the Cortona valley. 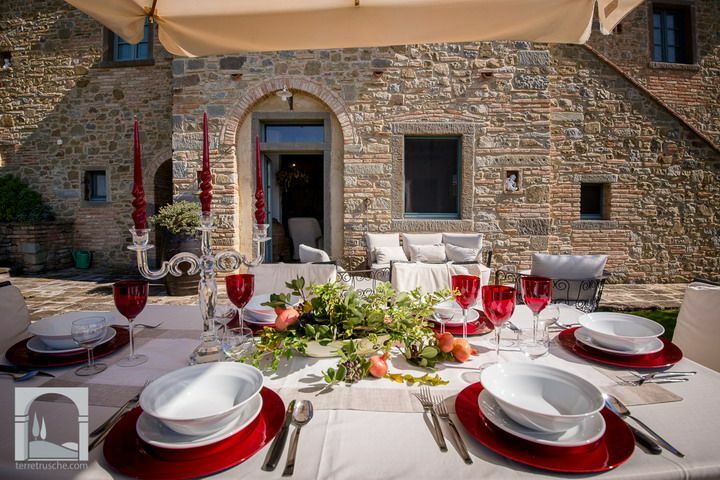 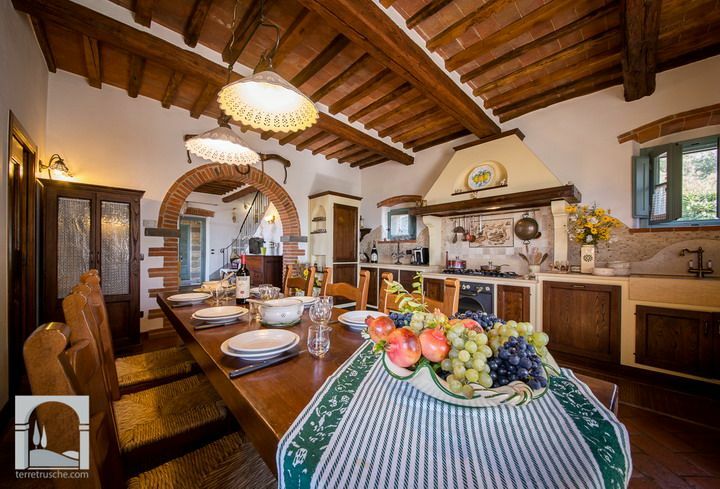 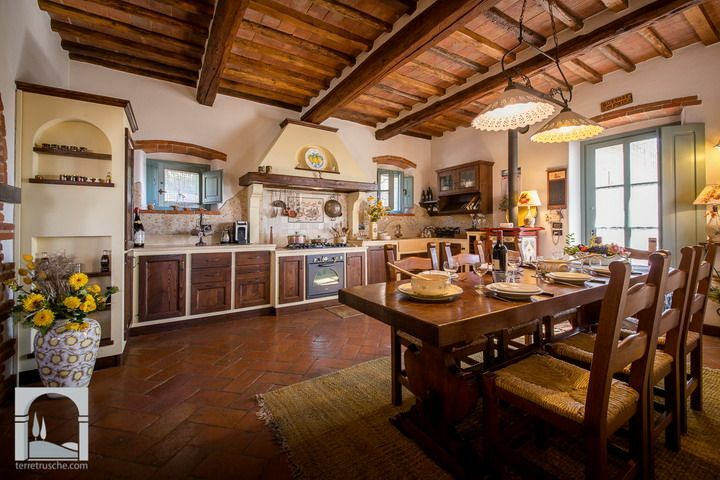 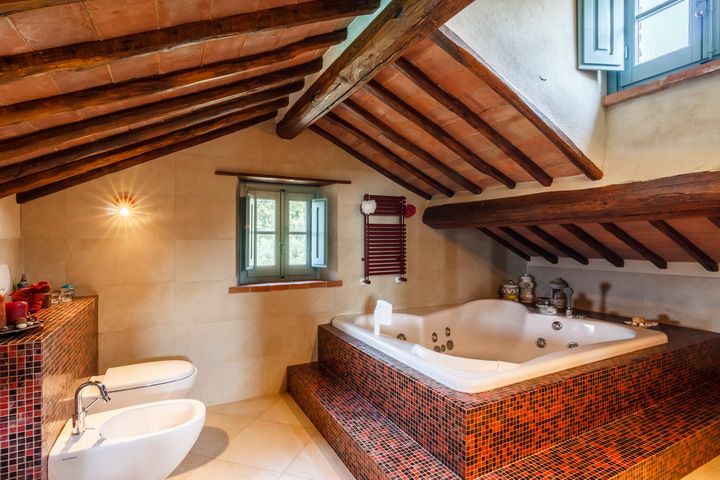 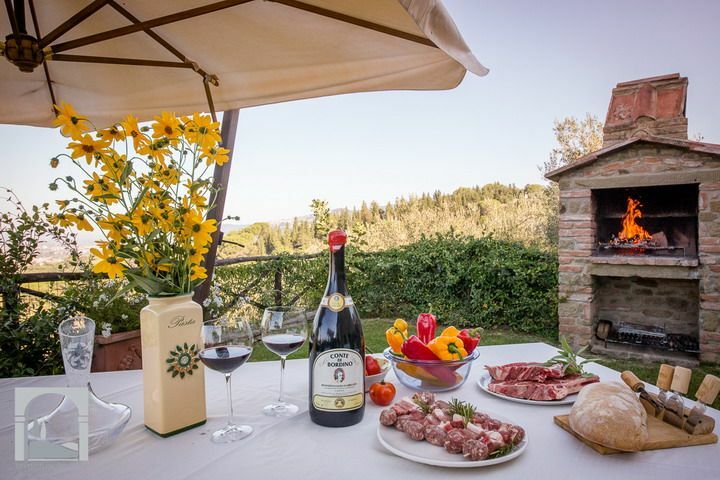 Villa Theresa is an authentic, stone built Tuscan farmhouse with panoramic views situated only 5 km from the Etruscan town of Cortona! 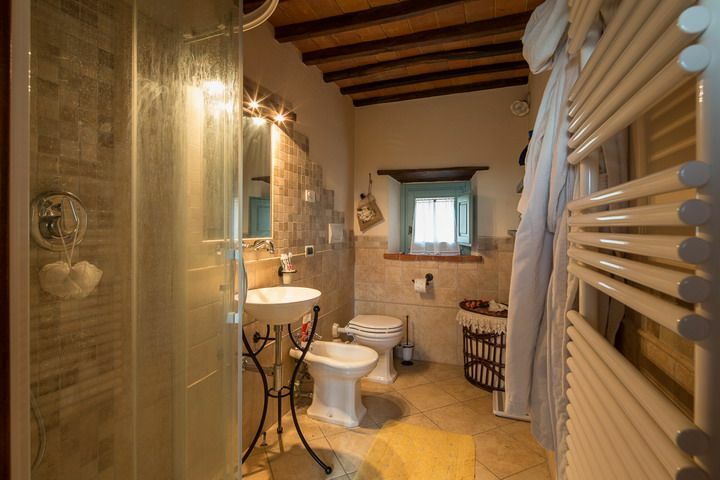 The spacious property is tastefully furnished and positioned within walking distance of a small village with a grocers shop, bar and restaurant. 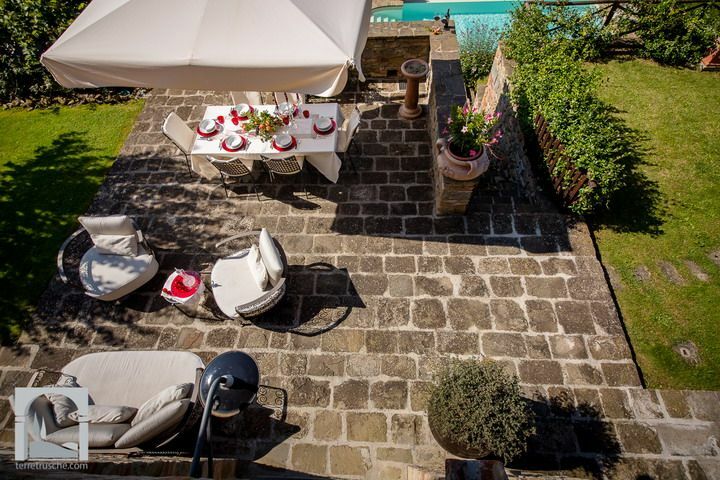 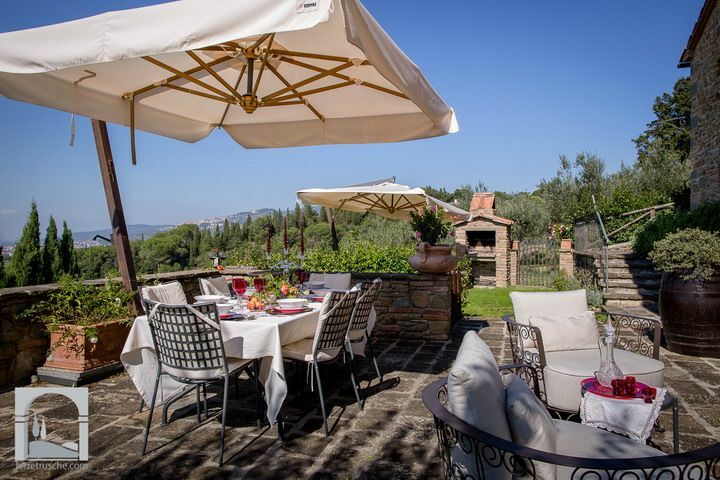 The villa benefits from air-con (Not present in basement see note below), wi-fi, wood burning oven, BBQ and covered outside eating area ideal for dining 'al fesco' The patio, decorated with elegant garden furniture, has a scenic view over the valley towards Cortona. 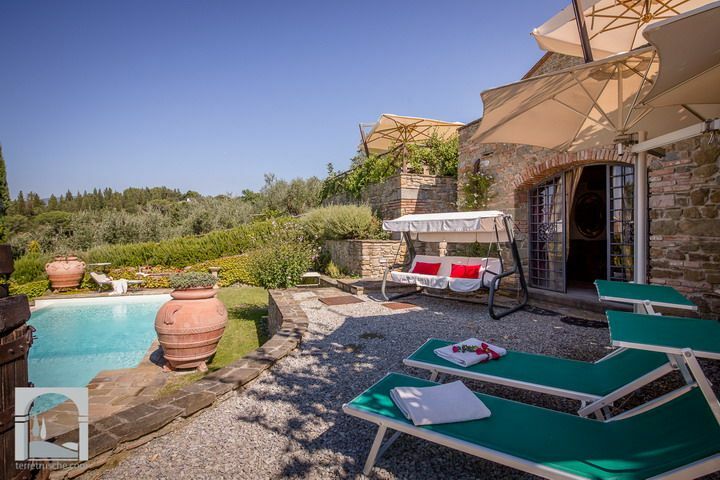 The villa is surrounded by a well-tended garden with plenty of space to relax and for children to play. 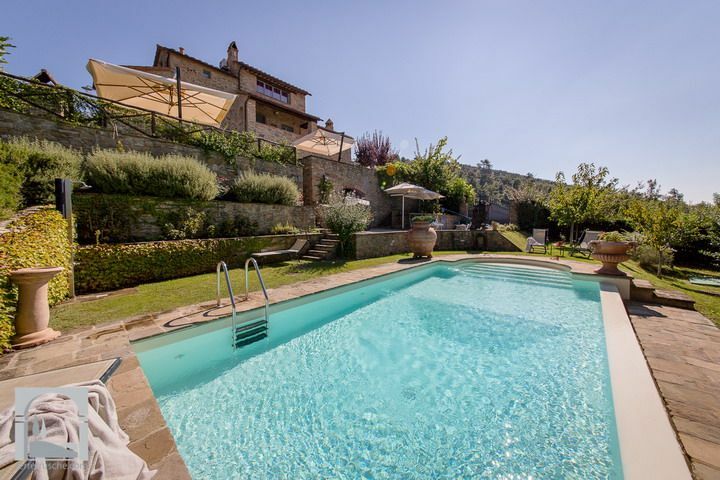 The swimming pool area is on a lower level, surrounded by a small English garden equipped with sun-beds, swing and sun umbrellas. 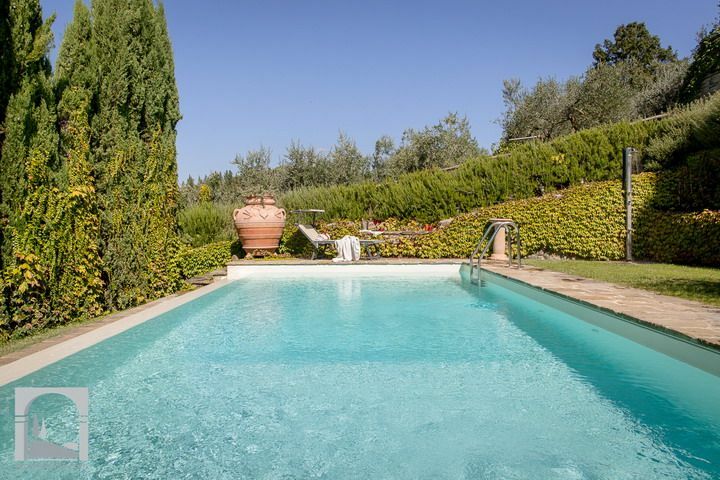 The picturesque pool area is lined by cypresses trees and ensures total privacy. 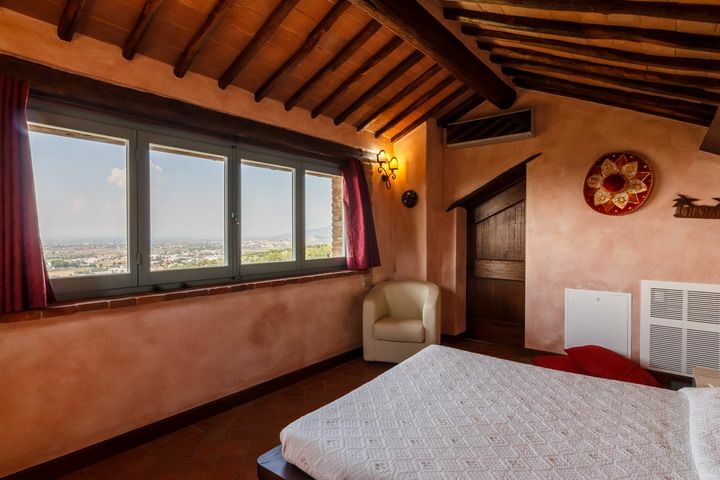 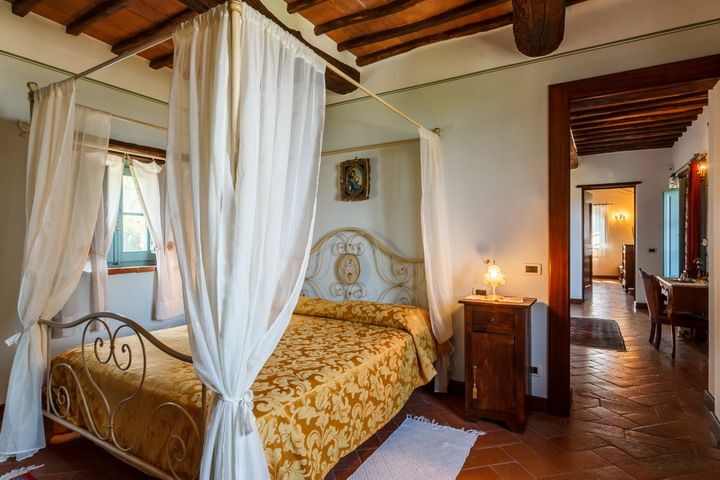 ACCOMMODATION COMPRISES: 180 square meters over three floors. 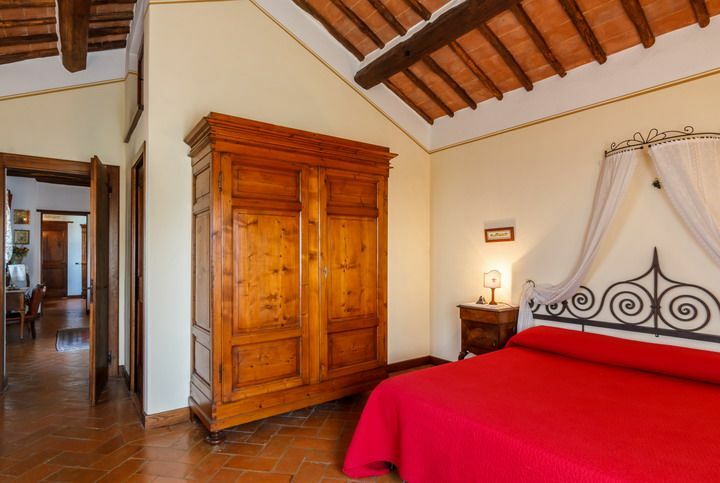 First floor: The sleeping area is composed of two symmetrical double bedrooms, each with private bathroom, linked by an intermediate sitting room with double sofa bed. 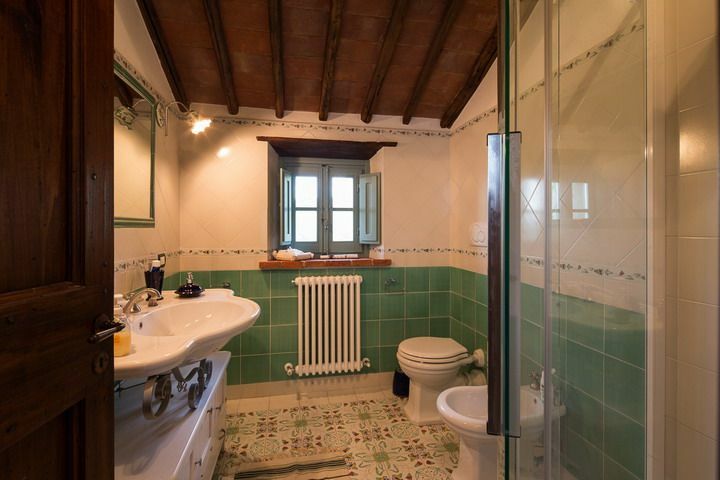 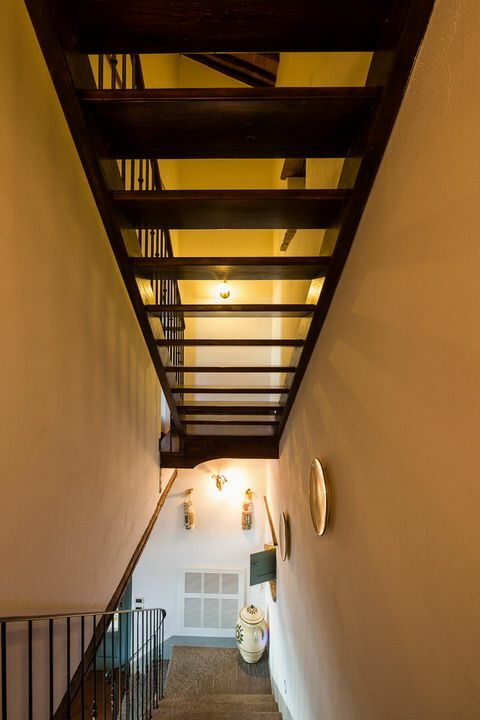 On the upper floor there is a double bedroom and a bathroom with large whirlpool. 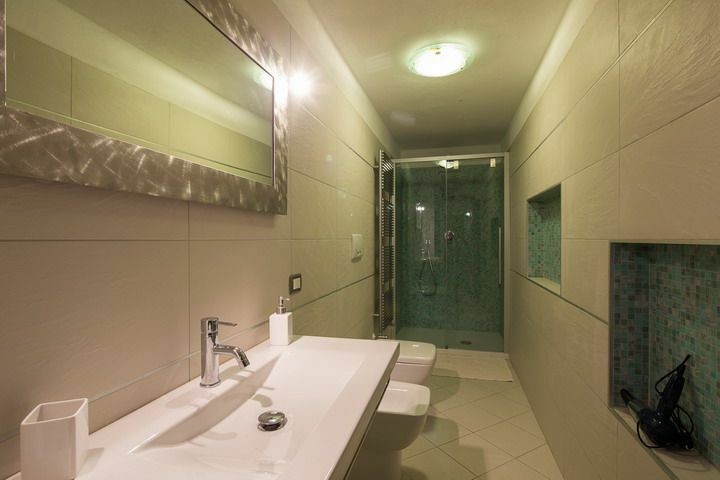 The basement floor disposes of a double access, both from the inside through a staircase and from the outside on the pool level. 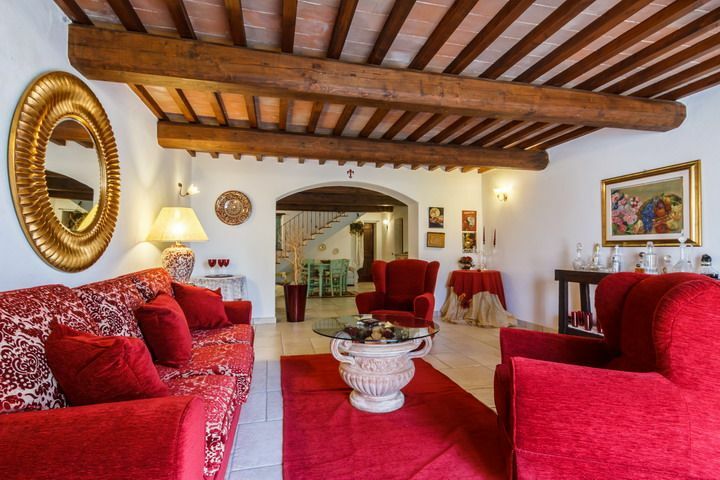 This wide basement floor hosts a living area with another fully-equipped kitchen, dining area and sitting room with big sofa and TV. 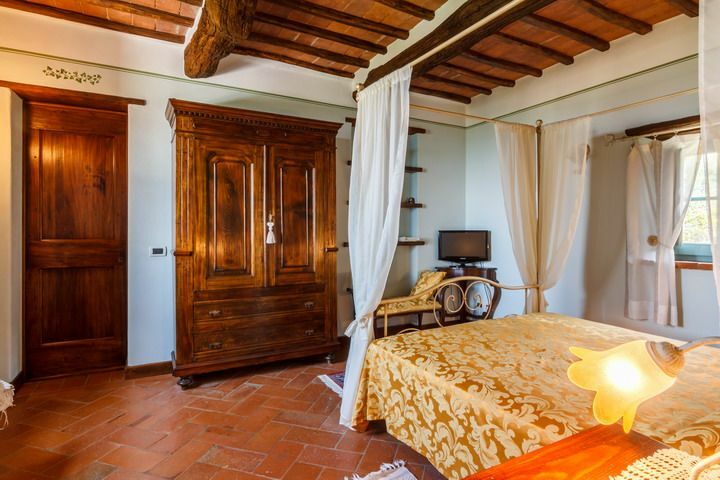 Weekly rental rates are inclusive of taxes, power and water consumption, bed and bath linens. 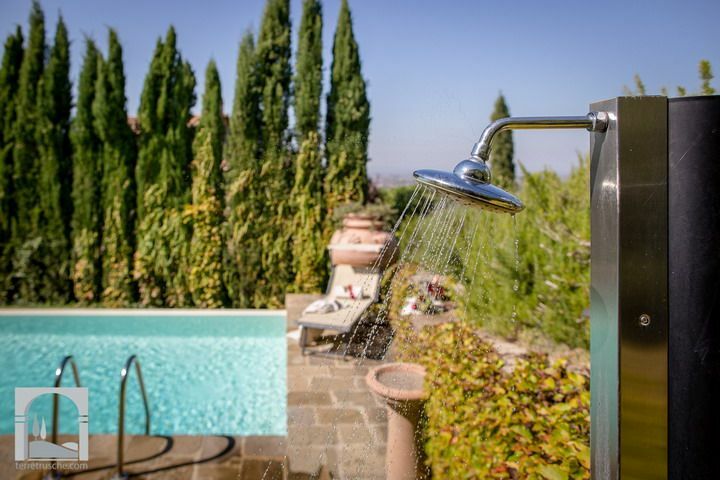 Cortona is just 5 kilometers away and only 2 kilometers from the villa are the major supermarkets and other basic shops.